since few years, i moved to live in the country and far from my Asian friends and relatives so it became hard for me to play mahjong live. 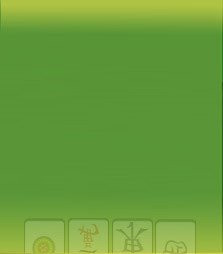 i started to search on the web for informations about online mahjong and i found your website! i tried several websites but of course, i immediatly knew which one was and is still the best one. 4 years! the website was totally different from now, there were lots of re-looking, upgrades and improvements (some work well, some not :-)) that always made this website faster, more friendly, more beautiful, more close to the reality! there are lots of good positive points about the site. At my begining there, i really appreciate to have the opportunity to play several mahjong styles. i played only HK rules but i quickly wanted to learn all the other styles, like CO (MCR), JM, AM or TW. Now, i like most the pleasure to play with my favorites players and some have become real friends, after we met in some live tournaments! i loved each tournaments i played ! but you could imagine that my favorite one is the Online French Mahjong Championship for 2 reasons: i live in France and i won it last year! it was very exciting and I won it during the last round in the last minutes of the tournament! i dun have any special hobbies but i love everything concerning travelling, especially in Asia. I need to go there every 6 months for holidays, to visit family or friends, for the fooding, for ppl's modesty,generosity and friendlyness and of course the opportunity to play some HK games with ppl there! very impressive how they play it everywhere, so fastly but in a funny way! as i said before, i played HK rules for years, teached by grand parents and parents. i love the 3 fans game. but step by step i learned Chinese Official in the site with the help of many players (great thanks to them!) and it became my favorite style! the more interesting and the one that requires more your own brain and not only luck. they are totally different; most of ppl would say that there's nothing compared to real live games. and i agree with them! but as i can't play it live oftenly, i really enjoy to play it online with ppl around the world! Q: Looking back on your Mahjong experience, what would you say was your favorite tournament to play in(online or offline)? i loved the french tournament in Paris in 2007. it was my 1st one and i was like a kid at Xmas! it was in a small place with few players, not the same as the current tournament. It was great to meet you too Slava and give u our feelings about the website! thx for your hearing! say my greetings to all the team cos everyday they do some great jobs for us! and i hope it will go on like this for years!